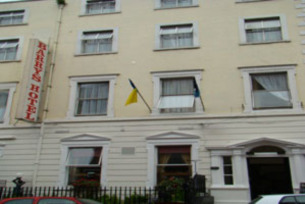 Barry’s Hotel is an historic accommodation situated in Dublin city centre, just steps from O’Connell Street. It offers a warm welcome and comfortable double and twin bedrooms. Built in the latter part of the Georgian period, Barry's is an historic hotel located in Dublin city centre, just a few minutes from O’Connell Street, the Garden of Remembrance and the Dublin Writers Museum. In 1916, Ireland’s famous patriot Michael Collins shot at British soldiers from a window above the reception area. The hotel is proud to offer warm, relaxing double and twin rooms, which include ensuite bathroom, direct dial telephone, iron, tea and coffee facilities and TV. It also has a bar with friendly staff and light snacks served at select times during the day. Barry’s Hotel is ideally situated near a host of amenities, including many restaurants and cafes. 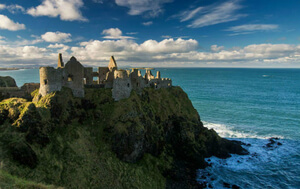 It is within walking distance of several popular destinations, while attractions like Trinity College and Temple Bar are easily accessible on public transport.